In case you missed it, Papiss Cisse had yet another perfectly good goal ruled out as offside against Norwich on Saturday, yet another linesman seemingly judging Cisse on his reputation, rather than what he could actually see. I use the word “reputation” above, though it might come as a surprise to some so called fans (and Sports Direct News rent a quote, Malcolm MacDonald) that Cisse is not the most ‘offside’ striker in the Premier League by any means. Romelu Lukaku, Christian Benteke and several others were caught offside more often last season. 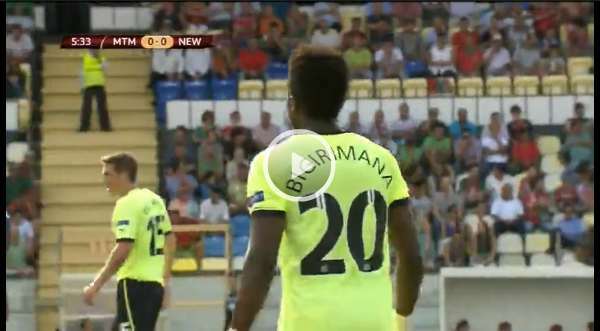 Maritimo vs Newcastle United full match video. Highlights(?) from this evening’s Europa League game between C.S. Maritimo and Newcastle United at the Estádio dos Barreiros, Funchal, Madeira. Maritimo vs Newcastle United full match video, highlights and interviews. 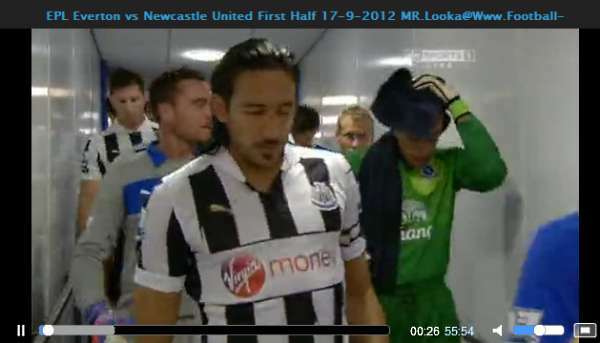 Everton vs Newcastle United full match video. Everton vs Newcastle United full match video (opens in new window) with Demba Ba post match interview. O'Neill: Tales of irregular ref visits from Toon. 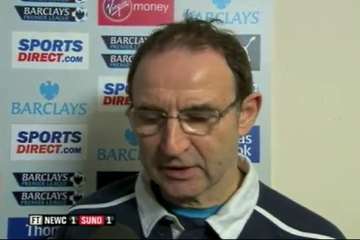 Speaking in a post match interview, Mackems manager, Martin O’Verrated O’Neill, cast light on the unusual sending off of Sunderland’s bad boy hatchet man, Lee Cattermole, who was given a straight red card by Wirral whistler, Mike Dean, a full two minutes after the final whistle had sounded. It brought his total number of bookings up to 64 yellow cards and 7 red cards in a total of 193 senior appearences so far. It was a match marked by controversy, which of course is not an unusual thing in Geordie / Vagrant derbies. No less than seven yellow cards and two red cards were brandished by the Wirral whister. The indiscipline also spread to the dugouts, where Alan Pardew and O’Neill were shouting and waving their handbags at each other on two occaisons, with goalkeeping coach, Andy Woodman, also being banned from the dugout for the second half after what was reported as a “scuffle in the tunnel” at half time. Coming back to the original story though, it transpired that “Clattermole” had taken issue with Dean’s second half decisionmaking in a not altogether polite fashion as the players and officials were walking off after the game. According to O’Neill, the Sunderland camp had also heard that a Magpie mafia had paid a visit to Dean’s dressing room at half time, possibly to make him an offer he couldn’t refuse?